SkyFall will be available in the UK on DVD and Blu-Ray on the 18th February 2013 from all major retailers and online on for example Amazon.co.uk or Play.com (Europe). Fans in the USA can pre-order the Blu-Ray on for example Amazon.com or Buy.com but a specific release date is not yet known. 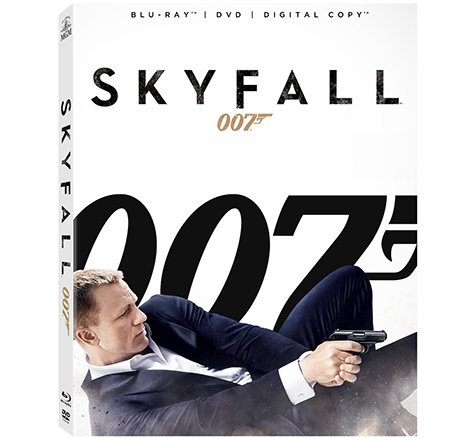 A special HMV Exclusive SkyFall Steelbook Blu-Ray version can be pre-ordered on HMV.co.uk, and is also slated for a February 18th release in the UK. 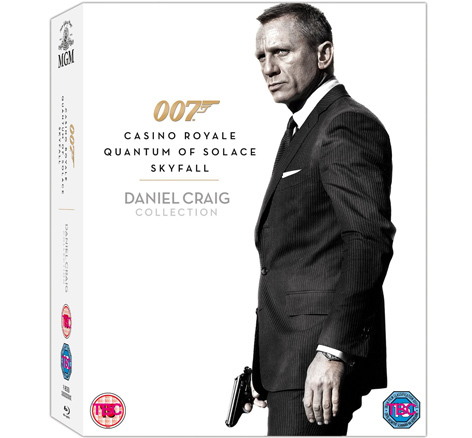 A Blu-Ray set with the three Daniel Craig Bond films will also be available in the UK (Amazon.co.uk) and Europe (Play.com). On January 1st 2013, it was announced that SkyFall surpassed $1 billion at the worldwide box office. This makes SkyFall the most successful Bond film of all time, the highest-grossing film of all time in the UK, the first film to pass £100 million at the UK box office and it is also the most successful film at the worldwide box office in Sony Pictures history. For more details on SkyFall Box office numbers, check out BoxOfficeMojo. Skyfall has been released on iTunes in the U.S. (HD only).